A council is facing criticism after continuing to invest its pension funds in cigarette manufacturing, despite running anti-smoking campaigns. Hampshire County Council has more than £80m invested in tobacco firms which opposition councillors say conflicts with its health promotion role. Its own Tobacco Control Strategy stated smoking caused the death of more than 1,800 people in the county each year. 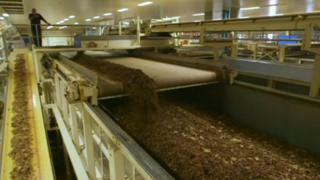 The council said holdings in tobacco firms were "subject to close review". Figures from 2017 show the council 's pension fund includes British American Tobacco stock worth more than £47m and £19m in Japan Tobacco, as well other investments in the same industry. Lib Dem opposition leader Keith House said it was like "vegetarians investing in an abattoir". "The county is meant to care about public health. Other councils have made an effort to be ethical in their investments and it's time for Hampshire to join them." Hampshire County Council said the pension fund was "legally bound to invest funds to achieve the best possible financial return". A spokeswoman said: "Hampshire's Pension Fund Board, which is an independent body, regularly assesses the performance and appropriateness of its investments. "Its holdings in tobacco companies will continue to be subject to close review in line with this approach." Greater Manchester Pension Fund (GMPF) excluded tobacco investments for ethical and social reasons after a 2014 report said its portfolio was "unlikely to have a material adverse impact on returns in the medium term". Advice from the Department for Communities and Local Government states that council pension funds' "predominant concern" should be perusing a financial return, but could consider other factors "provided that doing so would not involve significant risk of financial detriment to the scheme". Dr Rachel Melsom who advocates tobacco-free investments within the finance industry, said: "For investors, the risks associated with investment in tobacco are increasing - there is increasing regulation, litigation and reputational risk associated with tobacco. "The returns metrics for the last six years also do not support the traditional narrative that tobacco stocks consistently outperform." A British American Tobacco spokesperson said: "Many commentators would point at our strong financial performance in recent years as a reason why our shares are considered an attractive buy for pension funds."